TIP: Add cut up cooked chicken or flaked drained tuna for a simple main dish idea. Vegetables may also be roasted in the oven. 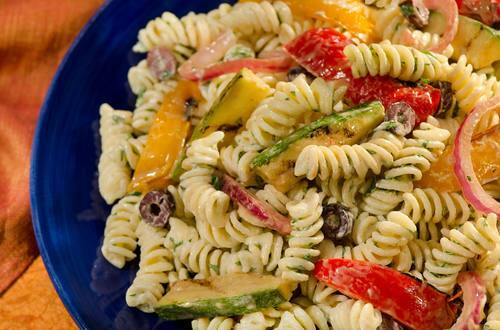 For a Better-for-you version, try using whole grain pasta and Hellmann's® or Best Foods® Light Mayonnaise.